The old cliche states that senior citizens are poor drivers who drive slow in the fast lane, use their blinkers for too long, or simply cut people off. If you're a senior, you can avoid becoming that crusty old "bad driver" cliche by following these tips. They'll help you remain a sharp and safe driver late in life. Serious generation gap concerns are frustrating because younger drivers can treat you like a relic long past your due date. As a result, you may feel upset when driving or like acting out. In America, youth culture rules and people of older generations are often considered out-of-date or useless. There isn't much you can really do to change that perception, short of sitting down individually with each younger person and discussing your life. Instead, you need to counter their impatience and immaturity by showing a high level of restraint and maturity. Drive at a speed that is comfortable for you and try to at least meet the speed limit. Avoid the left "fast" lane unless you're passing or turning soon. And avoid any kind of altercation: simply let the youth pass you in a calm and relaxed manner. This will avoid serious dangers. 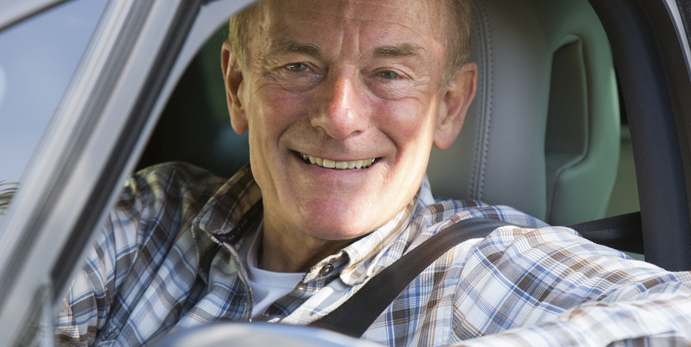 The reason that senior drivers often struggle to drive is that their health has started to slip away from them. This problem can make it difficult to keep track of traffic and cognitively process what is happening. However, it is possible to boost your abilities by keeping your health in order. Some of the most important aspects of your health you need to check include: your vision; your hearing; the effects of your medication; and any drowsiness you may feel. You don't necessarily need to stop driving if you show these signs. However, you do need to immediately talk to your doctor and see if there are any ways you can correct them. This can help avoid destroying your driving confidence and keeping you stuck at home without a car. As you can see, there's no reason that you can't keep driving late into life. While there are benefits to no longer owning a car or driving, they are balanced by the freedom you gain with driving. Just make sure you are honest about your limitations and you should be fine.